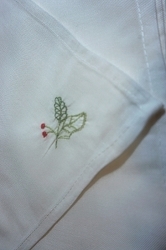 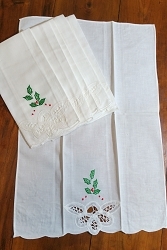 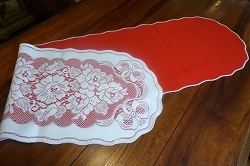 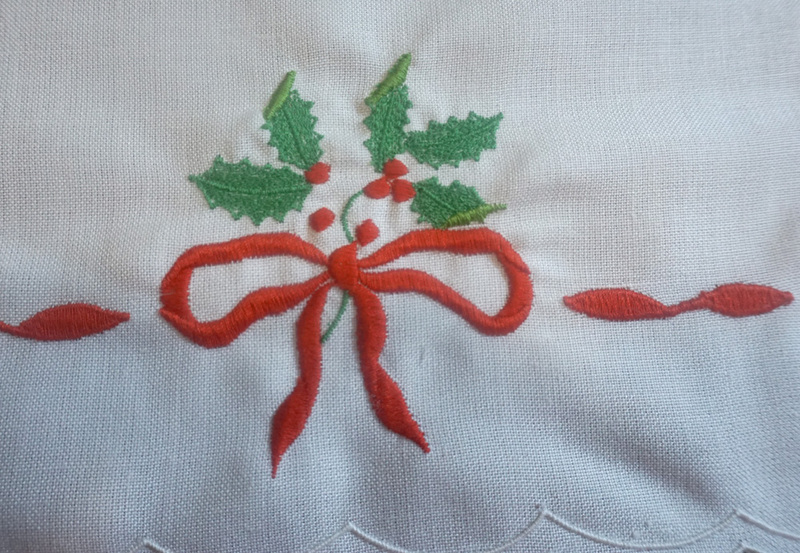 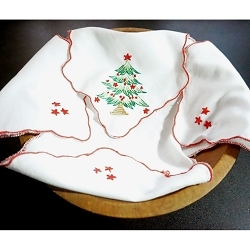 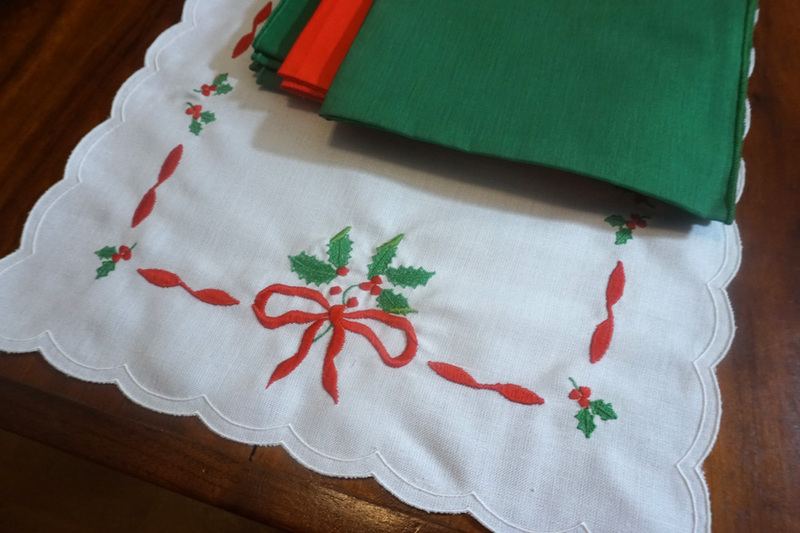 This is an adorable white embroidered Christmas table runner, generously sized at 88 x 14". 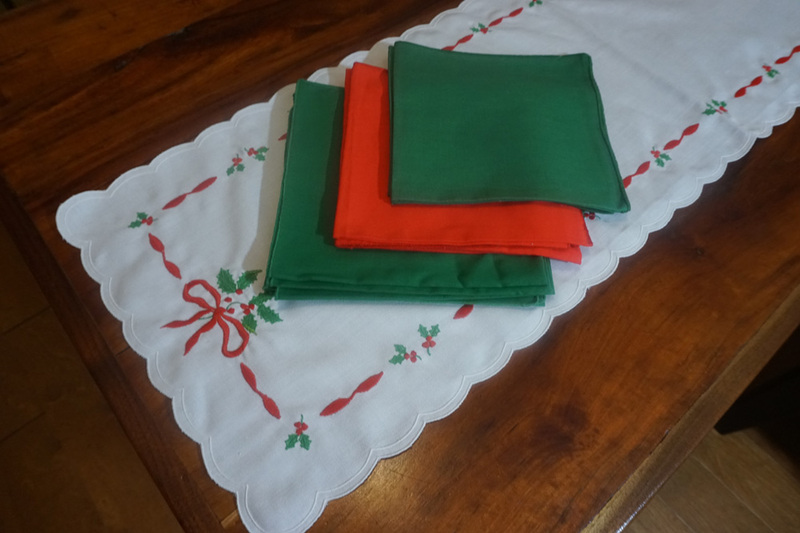 I'm including a mismatched but coordinating set of 14 red and green napkins to complete your holiday table. 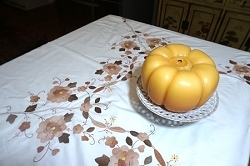 Just add some plain white dishes for an elegant and simple style.